Clear all jellies and reach 54000 points to complete the level. This level has hard difficulty. For this level try to play near to cake and break them. As you will break the cake it will help to break other blockers and jellies. 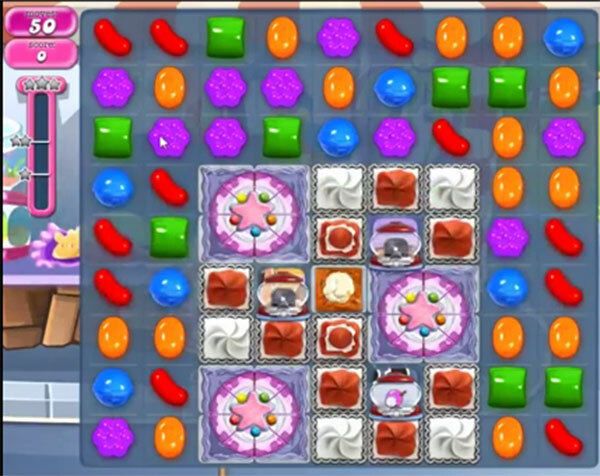 Try to make striped candy with colorbomb or wrapped candy combo to break the jellies. Or play near to remaining jelly candy to break them to reach the target.